Judo classes at Eurokwai in Egham, Surrey are for children, boys and girls, aged 7 upwards. Weekly one hour lessons on Fridays 6.30 p.m. and Saturdays 3.15 p.m.
Eurokwai’s children’s Judo lessons are held at Egham Orbit (Studio 1), Vicarage Road, Egham, Surrey, TW20 8NL. There is plenty of free onsite parking at Egham Orbit with refreshments, leisure, spa and swimming facilities for parents whilst lessons are taking place. 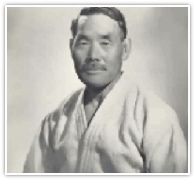 In 1882 the first ever Judo training school, The Kodokan, was formed in Tokyo, Japan, by Prof. Jigaro Kano, an expert in a number of ancient combat arts, who foresaw a requirement for a system of character and health development. Judo, translated into English, means the "Gentle Way" and in its original form is an excellent method of training and all round development. Judo was created from Ancient Jujitsu fighting techniques. The expression “Gentle Way” is contraditory in that it does not mean Judo is gentle it is referring to the use of an opponents strength and power against them by not resisting, the result being a Judo practitioner has formidable power and an ability to defend. The practicse of non resistence can also be a useful tool in life generally outside of the Judo classroom. Modern Judo is now an Olympic sport practised all over the world. Unfortunately it bears little resemblance to the original creation of Prof. Kano. Here at the Eurokwai Judo Club in Egham, we maintain the original aims of this ancient art by adhering to Prof. Kano's original precepts. In doing so we enjoy visits from highly respected Japanese Masters, also our Instructors are fully trained in the traditional way. The Eurokwai organisation does not subscribe to the modern style of Judo as practised by sporting organisations. 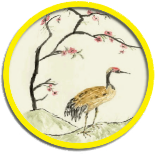 Eurokwai has provided expert tution for over 43 years, with students attaining the level of Black Belt. Our longevity means we have children attending our judo lessons who are 2nd & 3rd generation family members of previous students. For beginners we operate a 12 lesson Foundation Beginners Course, at the conclusion of which students are presented with a certificate, club badge, and undertake their first grading - after which they are invited to take up full membership. A suit is provided free of charge to students for the duration of the course and they are given a free book of techniques and terminology at the start of their Course. 1. Sibling Discounts are automatically given on beginners courses. After completing the 12 lesson Judo Course, students are invited to become members of Eurokwai paying a small annual membership of £30. Lessons are then paid for on a “pay as you go” basis each time a student attends a lesson (£6 per lesson). NO contracts - NO direct debit advanced payments - Sibling Discounts are automatically given on annual memberships and beginners foundation courses. Students will also at this point need to purchase their own Judo suit (known as a Gi - pronounced ‘gee’) which can be ordered at a very reasonable cost via the Club. Many of our students have progressed from beginner to black belt. Our system of teaching is unique to Eurokwai, built upon years of instruction, and is conducted in such a manner children enjoy their lessons in a totally safe environment. Less athletic students and/or those are affected by dyslexia or attention orientated conditions are all welcomed and are catered for without drawing attention to the individual’s condition. The actual technical aspects of our Judo exclude dangerous techniques such as armlocking and strangling, which in our opinion should never be taught to children. Our entire Syllabus revolves around a safe method of throwing and holding, designed to promote health, confidence and an ability to defend oneself in an emergency situation. The Eurokwai Grading System is open to all children who have completed our Foundation Course. Eurokwai conducts in-house gradings for students three times a year, with opportunities to win various awards. Our grading system is conducted in such a manner that we are willing to accept a child from another organisation with whatever grade he/she has been awarded. However for health and safety reasons, and to comply with insurance requirements, they may have to complete our Foundation Course. Children who would like to start Judo at Eurokwai are first invited to watch a whole lesson in the presence of their parents. This is free, with no obligation on either side. It affords parents the opportunity of examining club facilities and meeting Instructors It enables Club Instructors to assess a child’s concentration and interest, speak with parents and child, and then to jointly decide with parents if their child is ready to start Judo. Our instructors have DBS Clearance Certifcates, the Club has been awareded the Safeguarding Code in Martial Arts ‘mark’, and the Club’s Welfare and Safeguarding Officer, Alison Murray, is present at every lesson. Please see our Safeguarding page for more information. Eurokwai and it’s Instructors are certificated by the Martial Arts Standards Agency. Students should be personally accompanied to and from the Judo Dojo by a parent or guardian. - Respect all people especially parents, teachers and the elderly. - Refrain from fighting unless in self-defence. - Concentrate on the correct development of your Judo. - Do not worry about winning or losing. - Be kind and thoughtful at all times. - Act in a safe, responsible manner whilst engaging in Club activities. - Abide by the instructions of Club Instructors.